The Country General Manager of Dell EMC believes that Filipinos born after 1996 or Generation Z have the utmost potential to revolutionize the future workplace. “Filipino youth are ready to be part and shape that (digital transformation) journey,” Dell Country General Manager, Ronnie Latinazo said during a conference at the Shangri-La Hotel BGC in Taguig last Nov. 28. A global study led by Dell Technologies shows that 88 percent of Filipino Gen Z, prior to entering the workforce, have cultivated a technology-first mindset. 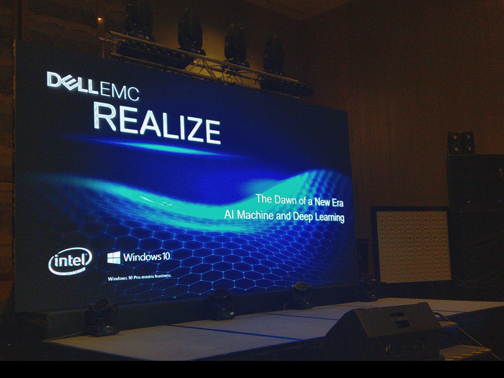 “What is surprising is the level of digital maturity they are bringing the workplace,” said Senior Vice President, South Asia & Korea of Dell EMC, Pang Yee Beng. A whopping 94 percent of Filipinos were also found to be optimistic as they view machines as partners rather than a threat to their employment. Latinazo further added that to attract the Gen Z, companies should focus on their corporate social responsibility to instill a sense of purpose for them. In Dell, they conduct beach cleaning, for instance, to make a clear statement of their corporate social responsibilities to protect the environment. “We also do beach cleaning. Collect plastic bottles, plastic waste,” said Beng, adding that companies shoud also leverage the strengths of each generation. “You need people with all sorts of skills. So you can leverage them. Diversity is important,” Beng added. Latinazo agreed, further adding that it is good if companies can strike a balance. “Each generation has their own strengths and weaknesses. If you can strike a balance and harness both, it is good.” Latinazo said. According to the study, in 2020 about 20 percent of the workforce will be represented by Gen Z.